It’s a challenging proposition for anyone: Lie flat on your back, helmet covering half of your face, in a tight-quartered MRI capsule that would make even the non-claustrophobe jittery. Then try not to move for 45 minutes. For children and adolescents with autism and low verbal and cognitive performance (LVCP), that proposition has been nearly impossible without sedation — until now. 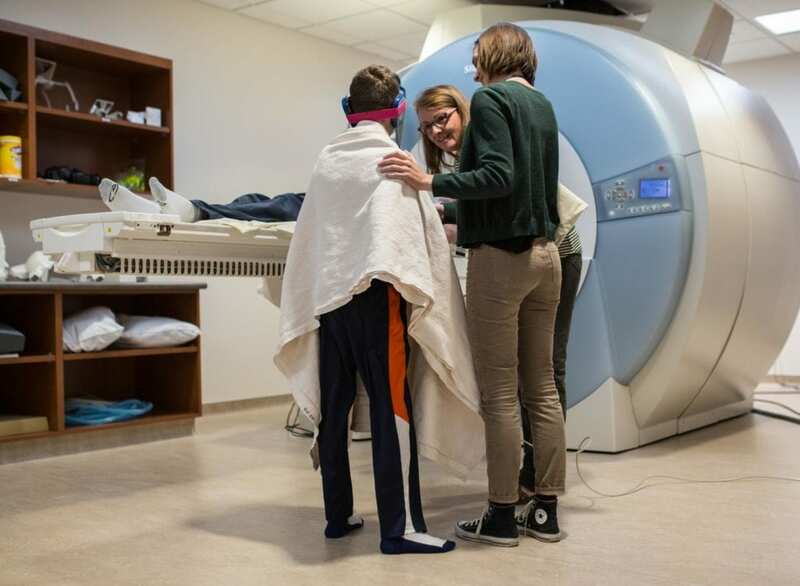 Using a range of behavioral support procedures to minimize fear and anxiety, a team of interdisciplinary researchers from Brigham Young University and the University of Utah managed to complete structural and functional MRI scans of 37 children and adolescents with autism, including 17 with less-developed language skills and an average IQ of 54. Other researchers have done structural MRIs of individuals with LVCP populations under sedation, but this group, spearheaded by autism pro and BYU assistant professor of school psychology Terisa Gabrielsen, wanted to find a way to watch their brains while they were awake and working. So they created a video explaining the step-by-step fMRI process children could watch at home multiple times, and they provided families with audio files that would help children prepare for the sounds they’d hear in the machine. Another finding practitioners have observed clinically but haven’t yet been able to observe in the brain: network connectivity was higher for the LVCP group than for the neurotypical group. Understanding what’s happening in the brain, how information is being processed and what is or isn’t being attended to, South explained, will allow researchers and practitioners to ultimately help make life better for individuals with autism and their families.